Southampton hope to have striker Danny Ings available for the final weeks of the Premier League season, with the loanee still sidelined by a hamstring problem. Ings has scored seven goals in 18 league appearances since joining the Saints from Libverpool last summer, but has not featured at all in the last month, having been forced off during the 1-1 draw at Burnley. We don't take any risks, we want to give him the time to come back during the three-week break. And head coach Ralph Hasenhuttl has ruled his player out of the visit from Tottenham Hotspur on Saturday, with the South Coast outfit then having a three-week break before their next game. Hasenhuttl told reporters: "Danny is not in the group at the moment. We don't take any risks, we want to give him the time to come back during the three-week break. "We have one friendly game against a Championship team and maybe he can get 45 minutes to build him up for the games that are coming up then, because they are very important." Southampton lost 3-1 when they faced Spurs at Wembley earlier on in the season, with the Londoners unbeaten in their last 13 meetings with the Saints. 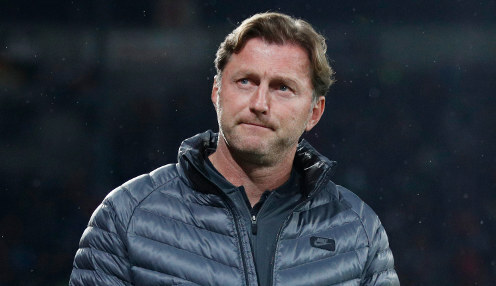 Hasenhuttl's side are 29/10 to claim a draw at St Mary's on Saturday, with a 1-1 final scoreline priced at 13/2. Meanwhile, Southampton, who are currently two points and one place above the drop zone, are available at 200/1 to be relegated this season.